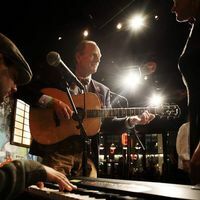 Born in Boston MA, Livingston Taylor picked up his first guitar at the age of 13, beginning a 40-year career that has encompassed performance, songwriting and teaching. On January 18, 2017, Boston Mayor Marty Walsh and Massachusetts Governor Charlie Baker declared the day to be Livingston Taylor Day in Boston. He was recognized for his 50-year music career, as well as being a long-time professor at Berklee College of Music.